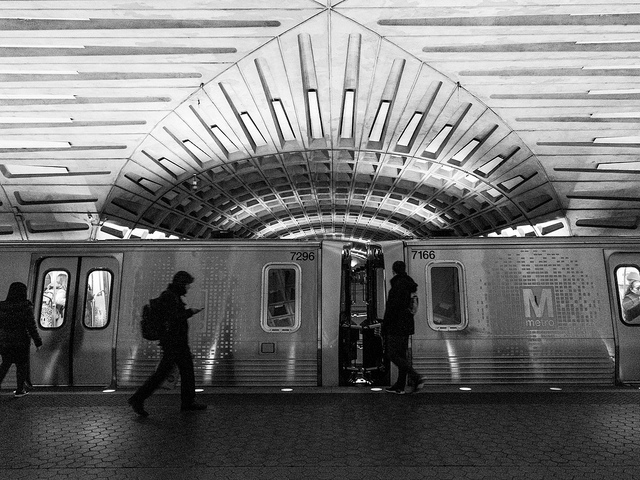 “This weekend, Feb. 9-10, Metro will work around the clock to install new, brighter lighting at Farragut North and the Red Line platforms of Metro Center and Gallery Place stations. Due to the location of the lights in the middle of the tracks, trains cannot operate on either track while the work is taking place. 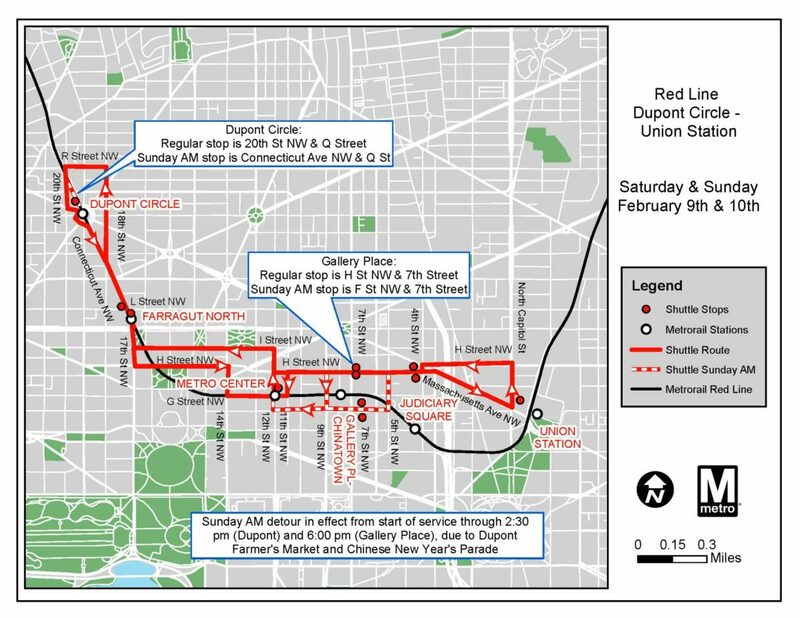 As a result, buses will replace trains between Dupont Circle and Judiciary Square throughout the weekend. Due to rebuilding on other lines, Orange Line trains will operate every 20-24 minutes. Due to grout pad renewal between Stadium-Armory and Addison Road, Silver Line trains will operate between Wiehle-Reston East and New Carrollton. Customers traveling to/from Benning Rd, Capitol Heights, Addison Rd, Morgan Blvd and Largo Town Center should use Blue Line trains to complete their trip. Customers traveling to/from Fort Totten should use the Green Line to complete their trip.